In order to become the family of Christ, it is not enough to worship together. We have to know other members of the family and develop deep relationships. 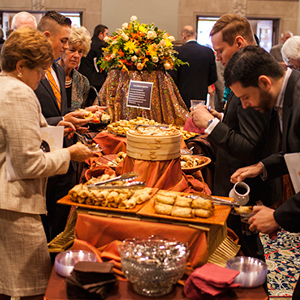 Shadyside Presbyterian Church provides opportunities for fellowship in countless ways – from church-wide events to small group gatherings. Every week after worship, we spend time together in conversation and mutual encouragement (with some light refreshment, of course), and congregational meals occur almost monthly during the program year. Picture yourself among us by glancing at our Facebook photo albums. Find an upcoming event on our calendar to join in fellowship with us.